Does it feel like your home is missing something? Do you want to add more warmth and ambiance that a fireplace or lighting can give? 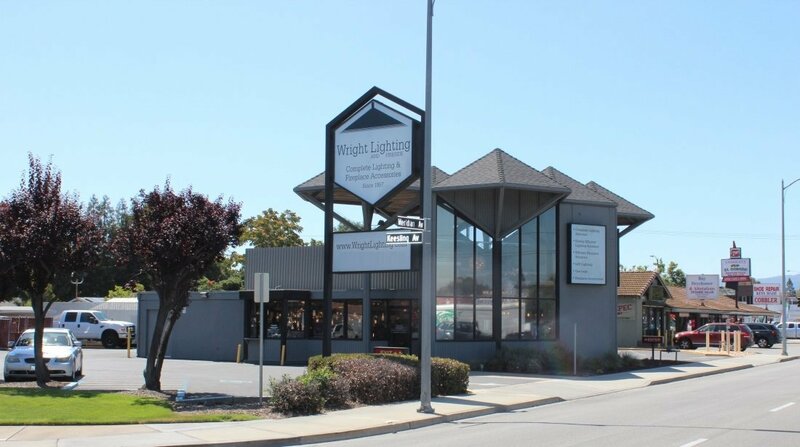 Our team at Wright Lighting and Fireside is here to help. Our San Jose, CA, lighting store carries a wide selection of fireplace products, ceiling fans, and lighting fixtures. Come into our store today to see all we have to offer. Fireplace products: We carry a wide selection of fireplace products to help accent your fireplace and add ambiance to your living space. Our fireplace products include glass doors, gas logs, and fireplace screens, all designed to improve the function and beauty of your fireplace. Lighting fixtures: Built right into our name, lighting is an element of home design we have long been dedicated to. We carry a full range of lighting fixture products, including bathroom lighting, track lighting, pendant lighting, chandeliers, lamps, cabinet lighting, and more. Our team will provide individualized consultations to help you select the ideal lighting system for your space. We also have a light lab to help you choose the lighting that will look best against your walls. Ceiling fans: Ceiling fans offer a great way to improve air circulation in your home while simultaneously adding a decorative centerpiece. We carry a wide variety of ceiling fans in a range of styles to help you improve the feel of your home in the hot summer months without sacrificing appearance. Fireplace product installation and repair: If you’re interested in converting to a gas log fireplace our team can help. We provide high quality, reliable installation, helping you create the space of your dreams. Lighting repair: If you have a lighting fixture that is no longer working despite having replaced the light bulb, our team can help to repair or replace the fixture. We’ll work to pinpoint the problem and provide you with an estimate of repairs before going ahead with the project. When you come to us, we are here for you every step of the way. We take into account your unique style and can work with your specific budget. We also implement a consultative approach to working with contractors, designers, electricians, and homeowners. We make it our goal and main focus to provide excellent customer service and help you find the best lighting, fireplace, and accents for your home. We invite you to come and visit our huge showroom in San Jose. All of us at Wright Lighting and Fireside look forward to working with you and exploring the endless possibilities for your home! Visit our fireplace store in San Jose today or contact our friendly staff with questions about our available products and services at 408-979-0800.